STEM stands for Science, Technology, Engineering, and Math. In this invention workshop, students enhance their skills with a great new system of discovery called LittleBits. LittleBits is a platform of easy-to-use electronic building blocks that empower you to invent anything, from your own remote controlled car, to a smart home device. The Bits snap together with magnets, no soldering, no wiring, and no programming is needed. In our program, students will begin with several inventions designed to let them figure out how the components go together, and then they will design and create their own inventions. Fun for all ages, but we will gear our program for ages 7-12. Ready, Set, Action! In this new program, you will create your own stop motion animation videos, use a stop motion camera, and have fun designing and creating your own videos. . Students will learn the basic skills needed to create and animate. Whether you are making a LEGO® brick film; animating in claymation or capturing a flower bloom using time-lapse photography, you can bring anything to life with computer animation. Students will learn to copy, edit, move and delete animation frames. Jazz up your creations by learning to import music and sounds, adding special effects, and more. All students will save their movies to share. Ages 7-12. In this exciting new program, robotics and coding will become elementary! Have fun expanding your horizons with the help of Ozobot – the tiny smart robot. There is no end to the possibilities, as you create a different landscape of adventures, games and coding with Ozobot. Imagine, a learning toy that opens the doors of computer science, STEM education, robotics and coding with simple color-coded commands and “Ozoblocky,” a coding language powered by Google’s Blocky program. Ozobot Bit’s ability to learn your programs, and then play them back is a big game changer to how young minds play and learn. OzoBlockly – a block-based visual editor – offers five step up modes from Novice to Master to appeal to young kids and even to challenge the seasoned programmer. Students will use markers, tablets and laptops for coding. Ages 6-8 will code with color, use laptops or tablets, introduce and demonstrate Ozoblocky. Ages 9-12 will code with color and more extensively program using Ozoblocky. In this engineering camp, you will have fun integrating Science, Technology, Engineering, and Mathematics by building and designing a wide range of gadgets, inventive machines, towers, crazy contraptions, and more. 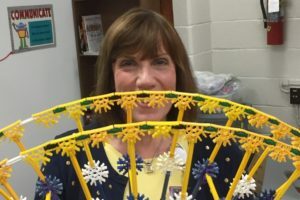 Projects include: The Great Tower Challenge, the Standing Cup Pyramid Challenge, Egg Drop Challenge, Wooden Coaster Challenge, Structural Engineering Challenge, Magnificent Marble Machine, and a host of other fun contests designed to bring out the engineer in you! Ages 7-12. ARCHITECTURE AND ENGINEERING CHALLENGES: Architecture and engineering are the focus of this program. You will work to design and build towers, balsa bridges and a wide array of Lego and K’nex™ architecture projects. Have fun building famous architectural designs from around the world including Adam Tucker Reed’s famous brick structures including the Empire State Building, Imperial Hotel, Whitehouse, Imperial Hotel, Flat Iron Building, Seattle Space Needle, and more. 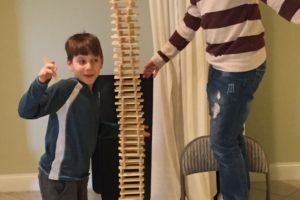 You will also build bridges, towers, and other structures using a variety of materials and learn about structural engineering principles and forces that act on structures. Develop science, technology, engineering and mathematics skills in a fun, hands-on environment. Ages 7-12. Discover the anatomy of the world’s most complicated system – the human body! In this program, kids will find out what it’s like to journey through the human body. Explore the science behind blood, bones, how a model of the human body works, and more. Participants will test for blood types, make a map of their tongue, perform simulated heart and brain surgery, and more. Ages 6-11. AMUSEMENT PARK PHYSICS Have you ever wondered how they design and build those crazy rollercoasters and other amusement park rides? Join us and learn about friction, gravity, momentum, velocity, and other effects of force and motion as they relate to theme park rides. We’ll design, construct, and test loop-the-loops, marble catchers, ball machines, Ferris wheels, swinging amusement rides, and more. 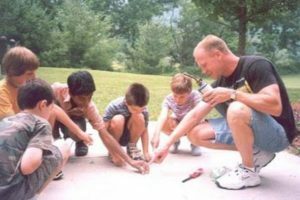 This is the way to experiment and build as you learn physics concepts in a fun and activity-based atmosphere! Ages 7 – 12. Students will build Lego ® models featuring working motors and sensors, program their models on laptop computers, and participate in new unique WeDo challenges. Students will develop their skills in Science, Technology, Engineering, and Mathematics. Students will use simple drag and drop software and a lap top computer to actually learn how to program robots made from Legos ®. 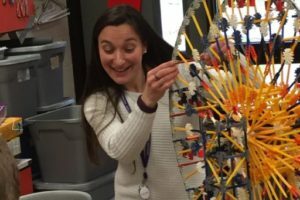 This program will offer both Lego 1.2 and all new Lego 2.0 projects LEGO® Education WeDo 2.0 makes elementary science come to life through hands-on tasks, real-world projects, and relevant technology that engages students.